Video conferencing is hardly the new kid on the block. It's not even the new granny on the block. It's been around since shoulder pads and big hair, introducing incremental innovation as the years and technologies go by. Today, fresh solutions and developments are adding collagen and lipo to the ageing video conferencing concept, introducing new tools and ideas that transform virtual collaboration and take it to, dare it be said, the next level. A report from Credence Research found that the video conferencing market is set to grow by more than seven percent by 2023, with a value of $4.5 billion. Why? Because the economy, the workforce, the budget and the realities of the modern market are demanding that communications become more agile and adept. "Companies want to cut their travel costs, commute times and other expenses associated with travelling employees," says Lauren Timmer-Somer, head, Marketing and Technology Services, Ricoh SA. "In fact, 56% of global CFOs cite travel time and costs as their reason for being interested in video conferencing and virtual collaboration. And they're right, because companies that use these solutions can cut travel costs by as much as 30%." For the employee, the chance to avoid the roads and still do the work is nothing short of divine intervention. According to a report by Lifesize, people sit for an average of 38 hours a year in rush hour traffic. That's a day and a half at the beach wasted on fumes and rude finger gestures. Alongside the need to shave the price tag and stress levels off unnecessary travel, there is the need to address the needs of millennial employees, whose demands are taking hold in the enterprise and changing how companies operate and collaborate. The way that content is consumed and interactions handled by this generation is a far cry from the ones that came before, and video has become key to catching their attention and engaging with them on both the professional and personal planes. Add to this the growing trends around work/life balance for those at the bottom as well as those at the top, and suddenly, it isn't so much a trend that's shaping video conferencing and collaboration, it's a fundamental shift in behaviour and attitude that shouldn't be ignored. Yes, the South African enterprise probably will do just that for a while - why say goodbye to entrenched ideas when they've worked for 50+ years - but it isn't sustainable and will impact on engagement and long-term success. These changes have also been taken a step further by the evolution of the app and technology. Mobile devices have become far more capable, systems less complex and time-intensive, and solutions far simpler and more accessible. The way in which the modern employee works with technology has pivoted from their using it as a simple tool to using it to drive their own potential. "In the old days, we would book a space in a video conferencing suite and make sure we had all the right equipment set up - hardware, cameras and microphones and so forth - to produce this special atmosphere," says Kevin Hall, national sales manager, Elingo. "Now companies like Zoom and other conferencing apps have made video conferencing something we do from our laptop, anywhere, with just a simple headset plugged into the PC." Mobile video conferencing is growing in popularity. A year ago, if somebody had invited a colleague or client to 'Zoom', they would have assumed a relationship-building day at Kyalami race track. Today, it's a tap of a finger on any mobile, connected device and a video conference has begun with anyone, anywhere in the world. Businesses and employees can harness solutions such as these to truly deliver on the premise of the remote employee and 24/7 service. "Web conferencing software solutions are more flexible, customisable and cost-effective than expensive proprietary hardware, and they can support the collaborative nature of business," says Jeremy Matthews, CEO and founder of Dax Data. "Virtual presence technology plays a major role in the digitisation and globalisation of the business, enabling communication and partnerships that weren't viable in the past. Technology leverages the web to connect communities and businesses globally." In fact, 56% of global CFOs cite travel time and costs as their reason for being interested in video conferencing and virtual collaboration. Cloud has been a major disruptor of the video conferencing arena. It has enabled the available anywhere, any when, on anything mentality thanks to its ubiquity and scalability. Any business can have a cloud conference room created on a whim and a dime - no need for complex infrastructure or heavy-duty investment into platform or productivity suite. Although the hardware-supported boardroom to boardroom communication had its place in the past, software is taking video collaboration where it needs to be today. 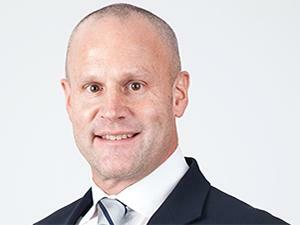 "IT managers should look to cloud services to help stretch their budgets and replace outdated legacy systems, to introduce collaborative tools," says Matthew Mckay, head of sales, BT Global Services, Africa & Israel. "Organisations that use cloud technology for collaborative purposes can benefit significantly, not just in cost savings, but also in employee satisfaction. In fact, by using video conference solutions, businesses can avoid the potential risk of digital dislocation, as employee teams can host and participate in collaborative face-to-face meetings online, keeping employees connected and engaged." According to the PGi Global Telework Survey, 55% of non-teleworking respondents wished they could work remotely, and with only 13% of the world's workforce feeling any kind of engagement with their jobs, it seems that perhaps the enterprise needs to pay more attention. Fortunately, the tools are rich and rife. For those that prefer a browser-based video conferencing technology, there is VoxAir, Bluekeans and Zoom; for the application-driven solution, there is Skype, Lifesize cloud and Polycom Clarity - the type of solution and the role it plays dependent on organisation size and requirement. "Browser-based technologies are scalable and cost-effective, integrating with existing technologies or infrastructure and reducing the cost of adoption," says Mauritz van Wyk, senior product manager, Visual Communications, Vox. "Application-driven enterprise technologies are geared towards more mature organisations that have a user base ready to adopt the additional features and technologies. A vast majority of the manufacturers are creating products dedicated to the 'huddle room' - small conference areas that are equipped with audio, video and display system technology." To make life even easier, most tools are downloadable and free. They are also easy to use, unlike many other technologies that claim to make life easier and costs smaller while adding to frustration levels and bills. They also present a risk. Like anything that can be downloaded, installed and used by anyone, security is a concern. While cloud-driven solutions may cut the hardware red tape, they will always introduce a layer of vulnerability. "Most X-gen team members prefer to just download the apps and collaborate on those, but it's important to keep the CIO in the loop when it comes to the security and encryption of the data being shared on these systems," says Hall. The IT manager, the decision-maker, the CIO and the CTO should be paying attention anyway. Video conferencing is a bundle of potential wrapped in the easily accessible cloud and presented with a bow that can be wrapped in any style the business chooses. It allows employees the freedom to work flexibly while cutting on stress and improving engagement. It opens up business horizons, allowing for the organisation to communicate across continent and time zone. It mitigates the impact of investment into unnecessary infrastructure and introduces notable cost savings. While there will always been face freeze, voice judder and awkward silences - connectivity may have to do some catching up alongside technology capability - video conferencing solutions have dropped the shoulder pads and slipped into silver spandex, ready to take communication into tomorrow. As the economy shudders once again, what better way to support collaboration with new markets.